Were you ill on holiday in Majorca, Menorca, Ibiza or Formentera? Was food poisoning or illness rife in your hotel? Did you suffer from cryptosporidium due to a swimming pool in Majorca? Are you seeking advice on how to claim compensation? Balearic Island Illness and your Rights? Holiday tour operators are responsible for your health and safety and they are obligated to ensure that hotels provide their facilities and services to a reasonable standard. Your hotel should be clean, and the food served should be fit for human consumption. Food should not contain harmful bacteria such as Salmonella, Campylobacter or E. Coli. If you have been diagnosed with a food borne illness then you have 3 years to pursue your tour operator for compensation under the Package Tour Regulations 1992. As the continuing difficult trading conditions puts pressure on tour operators' profits the number of holiday illness claims made by holidaymakers is expected to rise. 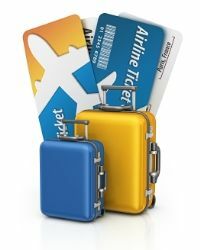 Holiday Illness Claims Specialists predict that Tour operators will demand lower room rates and the hotels in turn will cut corners to reduce costs and maintain profits – health and safety standards are expected to fall in 2011 and 2012. The Balearic Islands of Majorca, Menorca, Ibiza and Formentera are an archipelago lying off the eastern coast of the Spanish mainland near the Iberian Peninsula. These beautiful islands have been popular holiday destinations for British tourists since the birth of the package holiday. Life on the Balearic Islands is as laid back or active, hedonistic or cultural as you care to make it. The islands bask in summer sun for 300 days a year and are visited by tourists who enjoy golden sandy beaches, hidden coves, and modern resorts intermingled with traditional and unspoilt villages. Formentera is the smallest and least developed of the four islands whilst the larger islands of Majorca and Ibiza are known for attracting young tourists who often party all night long. Fortunately, the islands have an enviable emergency service and several modern hospitals. In case of an emergency, tourists can call 112 and the multilingual Balearic Emergency Services will speak to you in plain English. The service coordinates all calls for ambulances and provides a rapid response for those who are seriously ill on holiday. Hospital Contacts Details for those with Ill Relatives. Did you know that your package holiday tour operator should make sure that your holiday to the Balearic Islands is supplied properly, and this includes ensuring that the food served is fit for consumption and that it will not make you ill with Salmonellosis or any other food related illness! Food Poisoning and the waterborne illness Cryptosporidiosis are the most common causes of sickness amongst holidaymakers travelling to the Balearic Islands. Typical food borne infections caused by bacteria such as Salmonella – E. Coli and Campylobacter are also commonly reported in Majorca, Ibiza and Menorca. Hotels on the islands have been prone to some of the biggest group action illness claims brought against tour operators in recent years. Most of these claims relate to the bug cryptosporidium, the presence of this waterborne parasite in swimming pools is prohibited by local health and safety regulation. Never assume that food served in good standard all inclusive hotels will always be safe for consumption, as it may have been contaminated during preparation. Holidaymakers are advised to consume only recently prepared food that is properly cooked and served at a piping hot temperature. Hands should always be washed after visiting the toilet, and before preparing or eating food. Simpson Millar provide a 'No Win No Fee' holiday illness claims service for victims of illness and sickness caused by food poisoning, dirty swimming pools or unsanitary conditions in Majorca, Menorca, Ibiza and Formentera. Simpson Millar LLP offer a specialist claims service for those travelers' who become sick with a gastric infection whilst on holiday in Majorca, Ibiza or Menorca during package holidays with UK tour operators. If your Balearic holiday was ruined by sickness and you would like to know more about claiming compensation then call one of our experienced Holiday Illness Claims Lawyers. Holiday Lawyers Advice - Look Before You Book! Check out Tripadvisor – Holidaywatchdog and Holidaytruths to see if your hotel in the Balearics has been affected by an illness or mysterious gastric holiday bug, and if other holidaymakers are complaining about falling sick or ill due to food poisoning or dirty swimming pool water.